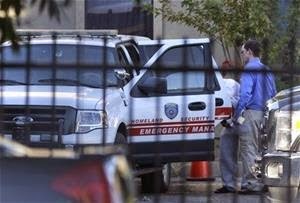 The Ebola patient in Dallas is in critical condition, says the hospital that has been treating him. Texas Health Presbyterian Hospital Dallas, where Thomas Eric Duncan is being treated, didn't provide any further details about his condition. The hospital previously said Duncan was being kept in isolation and that his condition was serious but stable. Duncan traveled from ebola-ravaged Liberia to Dallas last month before he began showing symptoms of the disease. He is currently getting the best treatment available... I wish him a stable recovery.